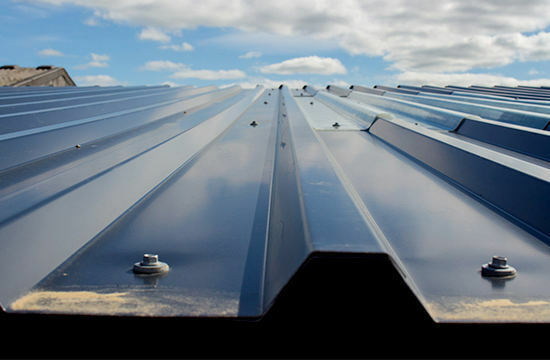 Alois Roofing and Sheet Metal provides full-service roofing solutions to general contractors, architects and property management companies throughout southern Wisconsin. Whether it’s a roof replacement, repair work or new construction, we take pride in doing high-quality, long-lasting work backed by full manufacturer warranties. Based in West Allis, a suburb of Milwaukee, Alois Roofing brings over 100 years of combined experience to commercial roofing projects. The tradesmen we employ are all experienced, safety-conscious professionals who share our commitment to quality work and exceptional customer service. With a fleet of modern equipment and in-house sheet metal fabrication capabilities, we can handle virtually any commercial roofing job—from small office buildings to large commercial centers and industrial factories. Commercial Roofing in West Bend ...and more! Contact our Wisconsin roofers for the best roof installation in the area! The first question everyone asks about replacing their roof is “How much does roof replacement cost?” The answer depends largely on whether or not a tear-off of the old roof is required. In Wisconsin, the building code specifies no more than two layers of roofing material are allowed. If you have two layers of roofing already, we cannot put down a third. We will have to remove one layer of roofing material. If the outermost layer cannot be removed without compromising the first layer, or if the original layer is also in poor shape, a complete tear-off is in order. 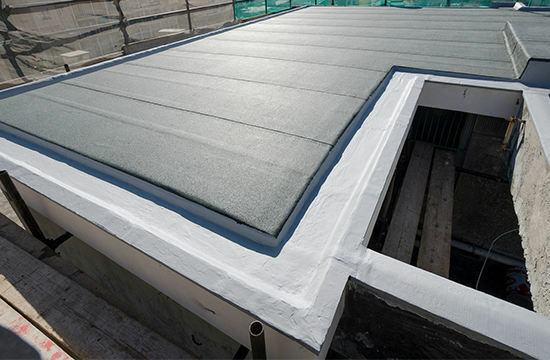 Thermoplastic membrane, or TPO (thermoplastic polyolefin), is one of the most widely used commercial roofing materials on the market. Learn more about this top rated roofing option. Modified Bitumen is an asphalt roofing membrane with Attactic Polypropylene or Styrene Butadiene Styrene additives. Learn more about this commercial roofing option. EPDM is a synthetic rubber, single ply roofing membrane used for covering low-slope roofs. Learn more about EPDM for commercial roofing. The Built-Up Roofing System (BUR), also known as “tar and gravel” roofing, is one of the oldest roofing systems in the US. 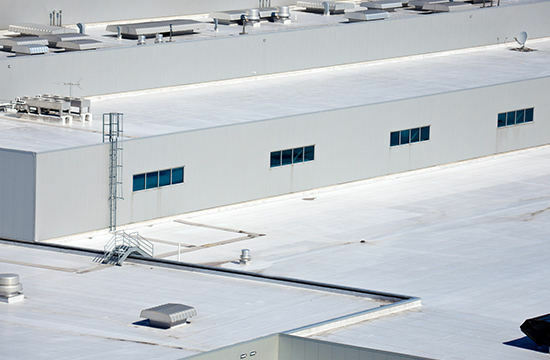 Learn more about this reliable commercial roofing option. 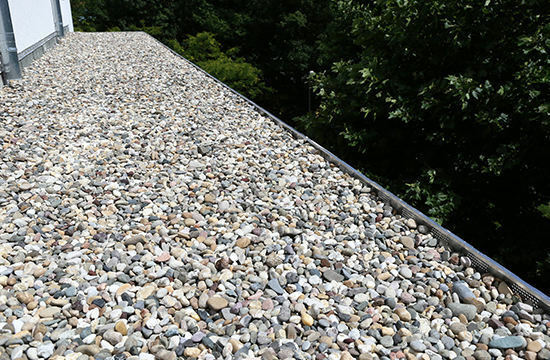 Ridged sheet metal roofing is an increasingly popular alternative to built-up roofing for both low-slope and steep slope roofs. 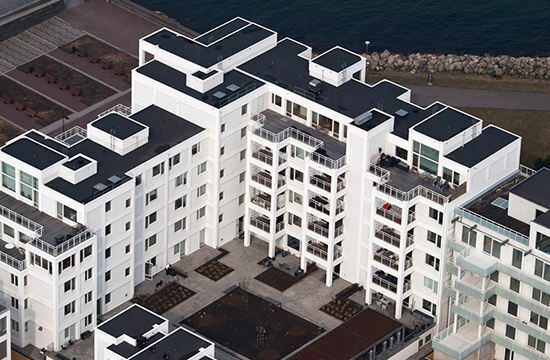 Read more about this versatile commercial roof type. 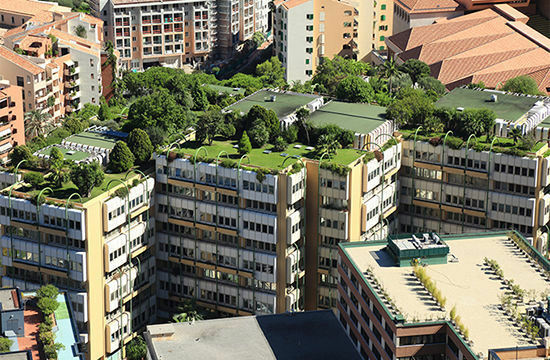 Green roofing encompasses everything from rooftop container gardens to an entire roof surface covered in vegetation. Learn more about how we can provide environmentally friendly commercial roofing options for your business.